Macsome AudioBook Converter converts any audio books which can be played on your iTunes. Converts Audible AA to MP3 or AAC files. Batch converts DRM protected or unprotected audio books to unprotected MP3 or AAC files with ID tags preserved. Macsome AudioBook Converter works with iTunes and sound recording technology to convert audio books. So it keeps the users on the legal side. AudioSplitter functions embedded inside AudioBookConverter. After conversion, you may split them into several small pieces, to fit your portable MP3 player. 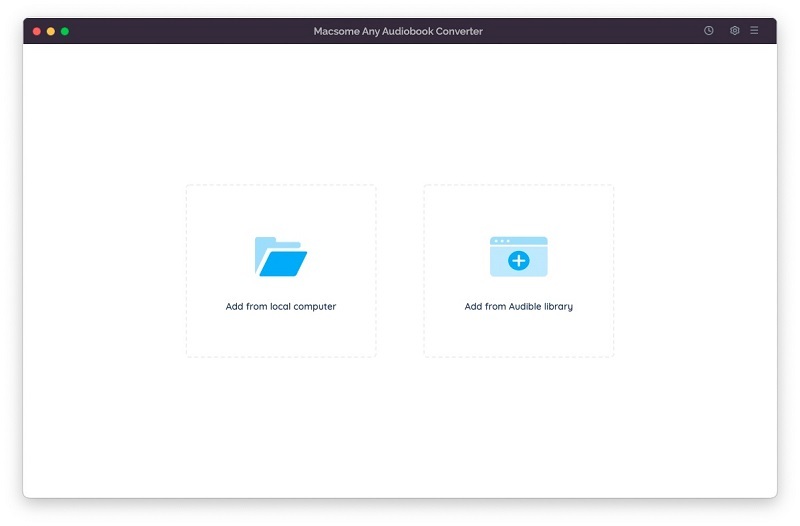 Macsome AudioBook Converter for Mac works with iTunes and sound recording technology to convert audio books, so it keeps the users on the legal side.